The small rural town of Fukaya in central Japan lacks many of the modern conveniences that big cities provide such as live music venues and record shops. While most aspiring musicians would choose to relocate to a more beneficial environment, the members of talentless hip hop outfit SHO-GUNG are content to remain hometown heroes while assuming the clothing and mannerisms of their peers. They babble broad nonsense, “from Saitama [Prefecture] to the world, soul to soul,” and live on dreams rather than incomes. When City Hall requests a demonstration of what “hip hop” actually means, the rappers convey their lack of mic skills, but they do so with an endearing determination that speaks volumes for their characters. Some members quit and others sell out, but hopeful leader Ikku demonstrates that sometimes it’s worth holding onto one’s dreams even if nothing will ever come of them. Young writer/director Yu Irie self-distributed this low-budget indie comedy until the nation of Japan took notice and made it a massive theatrical hit that spawned a sequel the following year. The film has a charming rawness that accurately portrays the deadening life of the suburbs and the self-confidence needed to survive them. 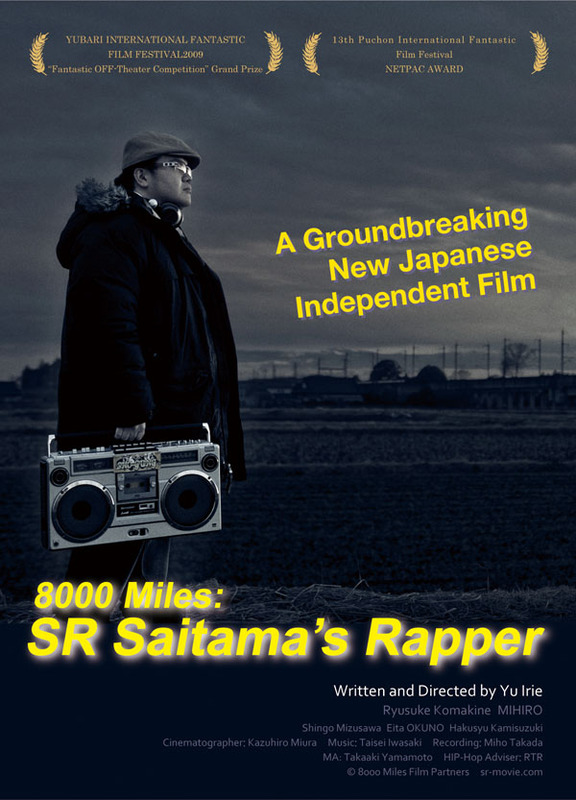 8000 Miles makes its Philadelphia Premiere this Saturday at 6:00 PM at the Prince Music Theater courtesy of the Philadelphia Japan Arts Matsuri. It will be followed by an 8:00 PM screening of its bigger-budgeted sequel 8000 Miles 2: Girl Rappers.